Your big day is coming up, be it in a few months or a year or two down the road. But you and your spouse-to-be are both scratching your head as you look at your bank balances and the expenses that keep hitting you like a tidal wave, over and over again. 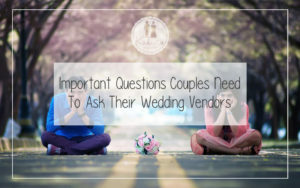 The money that the both of you – and your family, if you are lucky enough to have parents who are ready to sponsor your big day, either partially or fully – have to fork out seems like a never-ending list. But that may not necessarily have to be the case, especially if you plan well in advance to assess how you can best cut down your expenses. Now, honestly, to me, this is one of the biggest headaches when it comes to budgeting. I remember when I was planning my wedding, it was so hard to keep the guest list minimal, because my parents kept saying that so-and-so will get offended if they were not invited (and I come from a big extended family as it is!). So we ended up inviting almost 1,000 guests, and honestly, I can say that I don’t even know 50% of them! 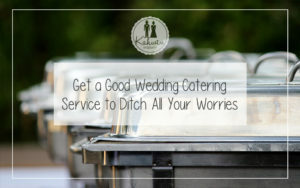 If you can minimize your guest list, you can easily reduce the expenses on the food and berkat (door gifts), wedding cards, and even the size of your wedding hall or the venue you’d like to hold it at. So it is best if you plan this well in advance and discuss it with your respective families. I personally feel that having a joint function is a lot easier and more cost-effective than having two separate functions. A joint walima will allow you to split the cost between both parties, and it also means that you will have to keep your guest list succinct, meaning, you only should invite who you feel needs to be there! Now, this may not go too well with the older folks, but if it is both you and your spouse-to-be who are forking out the cash, then I suggest you start trying to persuade them to see your point of view. A lot of time, couples end up spending unnecessary money on their weddings, only to later on reflect on it and realize it was a waste of money. I’d know, because I was one of them! I had a lunch and dinner function, and had gotten a popular personality to host my events, and dance troupes to perform, and I incurred a lot of other additional costs. 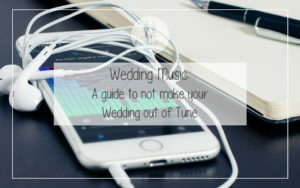 However, in retrospect, I felt that in all the hustle and bustle of the wedding itself, my guests, and us as a couple, did not really get to enjoy all these items during my function because there was already so much going on. Also, when it comes to needs and not wants, a good way of budgeting for your wedding expenses is the hantaran gifts. Try not to go overboard with it by demanding the most expensive items that will burn a hole in both your wallets. Discuss it with your significant other, make a budget, and purchase your gifts accordingly. Trust me, you will be needing the money more after your marriage to start up your own home. 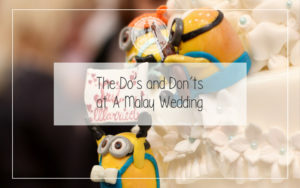 Ok, with DIY, I have to caution you not to try and do everything yourself, or to rope in your friends for everything (you can refer to this article for wedding mistakes that Malay couples make). But, if say you have a creative hand, and you can make your own gubahan arrangements or bake your own wedding cake, then go for it! I know of a bride who did her own pelamin (dias) décor, which she started planning for about a year in advance, and it turned out beautifully! If you want to go the DIY route for things, I’d suggest that you first calculate how much it would cost you to do it yourself, and also survey the cost of getting a professional to do it. Sometimes, it might just be cheaper to get it professionally done. A sizable chunk of wedding expenses lies in the outfits that the couples wear during the functions. Usually, bridal companies will offer outfits in the packages when you sign on with them, but some couples choose to have their outfits tailor-made, and this can come with a hefty price tag. Now, if the outfit that you are stitching is practical enough for it to be used again and again, then that is reasonable enough. But if you are stitching an outfit that is only to be worn once, and you’re spending a large sum, then I’d recommend that you just rent from the bridal companies or look on Carousell for second-hand outfits. I am saying this from experience, because in my cupboard, sitting looking pretty, is my bridal outfit, which costs over $1,000, but sadly, only worn once. Trust me, I was lost in the excitement of my big day that I didn’t stop to think practically. Now, this is post-wedding budget, BUT, I think it is important to plan your honeymoon in advance so that you can actually enjoy the much-needed alone time with your spouse after the hectic wedding is over! I know of couples that spend so much on their weddings, they barely had anything left to spend on their honeymoon, resulting in them skipping it all together. My recommendation is to plan your honeymoon in advance, survey travel fairs (NATAS is a good one), book your hotels earlier, and if possible, try to travel during the off-peak seasons. Basically, budgeting for your wedding is personal and up to each individual couple. These are just recommendations, but only you’d know best where you can cut cost to make your big day more affordable. So discuss it with your partner and your families well in advance, and always remember, plan ahead. Marriage is more than just the wedding functions! 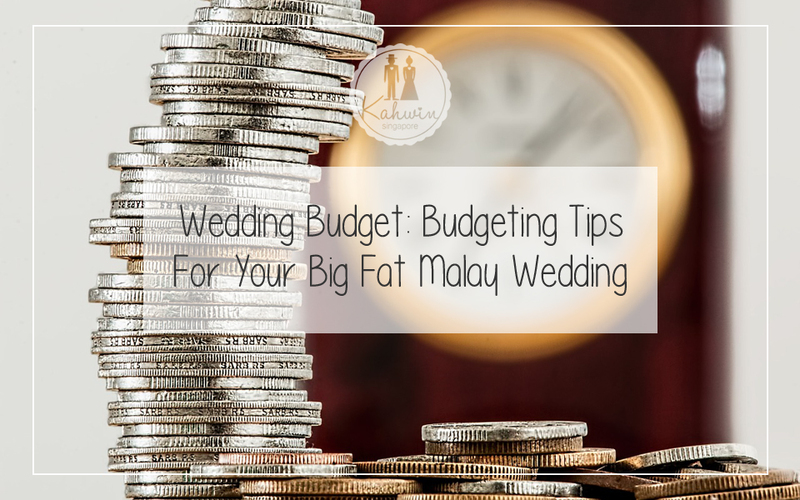 Are you planning to make a budget for your wedding? Or if you are already married, how did you budget for your wedding? Share with us your tips by commenting below or tag a friend who might find these tips handy for his or her upcoming big day! Hi! I would like to ask your opinion on who should keep the money that were given by guest during the wedding? Especially if the couple is the one paying for the whole event. 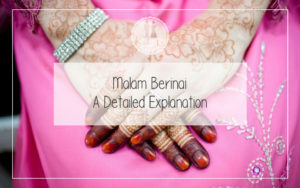 if the couple is paying the whole event, then you should take the duit Salam.